Chinese authorities have given the world's biggest asset manager, BlackRock Inc, a renminbi qualified foreign institutional investor license, which means the firm can invest directly on the mainland using offshore yuan. The move also further opens China's capital markets and internationalizes its currency. The license was awarded to BlackRock Asset Management North Asia Ltd, the New York Stock Exchange-listed parent company said on Tuesday. 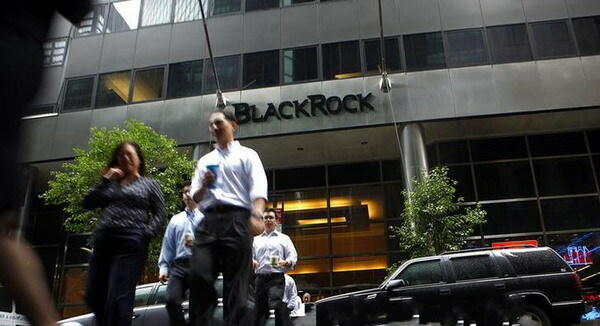 BlackRock will apply for a quota to determine how much money can be invested. "We applied for an RQFII license because China is an important investment destination for our clients globally," a BlackRock representative said. The company received a qualified foreign institutional investor quota of $100 million in June 2012 and applied for the second quota later that year. The QFII program is a separate investment system under which investors use other currencies, such as Hong Kong or US dollars , to trade A-share stocks. The representative said each of BlackRock's two QFII quotas was for $100 million and that both are invested. "The expansion of the RQFII program will widen the offshore yuan's investment channels, which is in line with the government's determination to promote" the currency for international use, Li Jianfeng, a strategist with Caida Securities Co Ltd, said. It also helps stabilize the stock market , especially blue chips, because foreign investors usually favor long-term value investment, he said. Last month, China relaxed the rules so as to allow QFII and RQFII investors access to more products and invest up to 30 percent in a single company, up from 20 percent. At the end of February, China had issued total quotas of $53.58 billion under the QFII program and 200.5 billion yuan ($32.5 billion) under the RQFII program, according to the State Admini stration of Foreign Exchange. The benchmark Shanghai Composite Index slid 0.3 percent to 2,095.71 points on Thursday as investors weighed the most recent economic statistics. China's economy grew 7.4 percent in the first quarter, down from 7.7 percent in the previous three months. Expectations were for 7.3 percent. Slowing growth of M2 - the broad measure of money supply - in March suggested continued economic weakening. Valuations of some sectors such as real estate that traditionally have been considered to be blue chips are near historic lows and rated as bargains by some analysts. The latest economic figures point to stabilization, if not growth, with consumption taking over as the main driver from investment and exports, said Dale Nicholls, a Tokyo-based portfolio manager at Fidelity Funds-Pacific Fund. "Looking at valuations across a range of sectors, which in many cases are near historic lows, it does seem that many of these risks are priced into the market. So, overall I am confident about China's outlook," he said.